Our people finally have hope for our generation in employment, training and education. 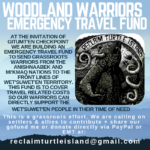 Certain protesters are campaigning for gofundme money and claim to represent all our clans all LED by wrong people. I understand province piling them with funds to operated OWC and now taxpayers are filling their pockets once again. It’s always the same people and same crap over and over and frankly I am disgusted and I will speak for my clan and as spokesperson for my chief. If chief Woos and Leonard George was here they would be appalled. I will consult with Dora Wilson, Helen Michell and Alma Andrew, Mable jack, Angeline Crocker, Mable Louie, George skin, as my hereditary leaders and guide us through. We count and not just as cattle for head count and we have a voice and concern on our territory. We will exercise our rights too. Our voice will be heard. Stop invading on us like we are all dumb! 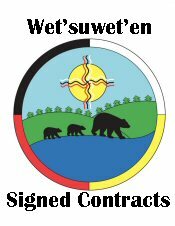 No Burns Lake Gitdemdem (bear tribe) will dictate to us either, and, no protesters, environmentalist, is stand in our way. How can a pile of extremist groups come and enjoy our territory on free funded money flowing to them. The OWC never acknowledged our people nor cared. Each year they have men and women camps on our territories and none of our people are included. They get free high end lodging and comfort holidays while in Uncha lake or Noralee resort. There may be more holiday lodges I not aware of. So I need names of who is leading these meetings ? Their agenda? Names? Is it the forever EO? Or is it the 5 man group? I raised my family on the territory and we were independent. This entry was posted in Aboriginal Issues, Aboriginal Radicals, Breaking News, Bulkley Valley, Coastal GasLink, Letters to Editor, LNG. Bookmark the permalink. Good for you Shirley! Don’t back off!